The IDE link should be https://account.smartthings.com/ to be the most compatible globally, and for all ST account types. 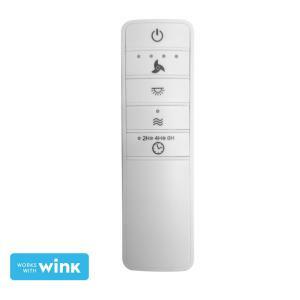 Is this still the best device to control both a fan’s light and motor with smartthings? This is still the ONLY device to do such if limited by wiring. If you have proper wiring in place to independently operate the fan and light from separate switches, that is by far the best option. First, the fan is a nice one! (I’m kind of a fan – yeah, pun intended – of brass). Do you happen to know where exactly the DTH code is located? I am planning on ordering one next pay period and trying it out. If it goes well, I will continue going through my ceiling fans. This is sort of like putting together a puzzle. Good thing I like doing this stuff. I hope I didn’t just mess up. I ordered the controller from the first post in this thread from Home Depot. It says remote control, but the pics show all of the parts, the remote, and the receiver / controller… Hopefully everything I need will be in there. It has everything that you need. MEH, I’d say as soon as it gets to your house, hook it up immediately and test. Mine are dropping like flies, especially when in the canopy. very weak zigbee signal. You may have trouble pairing also. Mine was not a good experience, have had to re-pair several times, even the one on my test bench. You wil usually need to make sure that the zigbee antenna is OUTSIDE the canopy. I have these on 2 fans in our house for about 18 months. The fan closest to the hub (in the same room) has never, ever dropped. The fan in our bedroom has occasionally dropped after a power loss. Though it has been a long time since it has even done that. I have a "peanut plug in the bedroom to act as a repeater. Yes, these controllers do have weak radios so a strong mesh is important. @JDRoberts has also explained how the fan blades themselves can even affect the signal. Overall, I have found them to be a worthwhile alternative if you only have one line to the fan canopy. Not sure how many times this needs to be said, but do not expect to use this controller without a Zigbee repeater in the same room! Also, the antenna MUST be outside of the canopy and not pinched! Get some tin snips and clip a hole. Very true. In my situation even with a repeater and antenna fully outside the canopy, still having issues. I’ve thought about taking it apart to try an add a better antenna to see if that helps. The remote is simple RF. Nothing smart about it. If you are installing with the antenna inside the canopy here doing it wrong. The instructions clearly show to have these ZigBee antenna outside of the canopy that’s why the spacers are there.